The FDM4 ERP Order Entry and Invoicing module is a comprehensive system for quoting, entering, shipping, and invoicing customer orders. This module can be used alone or integrated with other FDM4 modules. During order entry, you can review stock balances, suggest substitute items, and offer various pricing options all in an interactive mode from one screen. 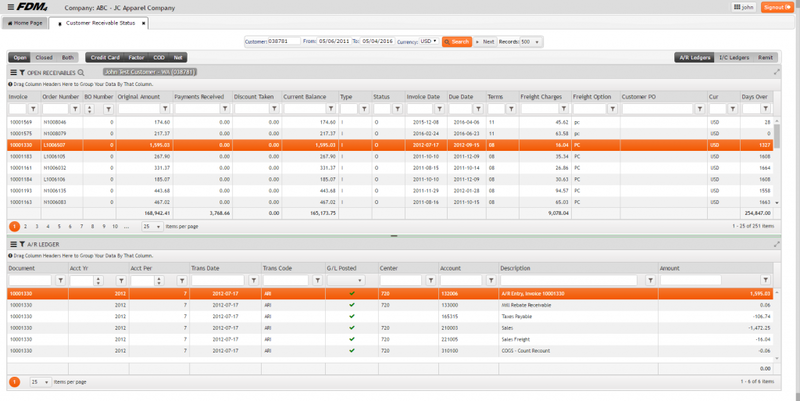 The Order Entry module is fully integrated in real time with the Accounts Receivable and Inventory Control modules which gives Customer Representatives the ability to see up to the minute inventory availability including expected receipt dates and Advance Shipment Notices for Purchase Orders. Integrated quote-to-order-to-cash processes are available across your sales and finance departments, providing full visibility of the order cycle. 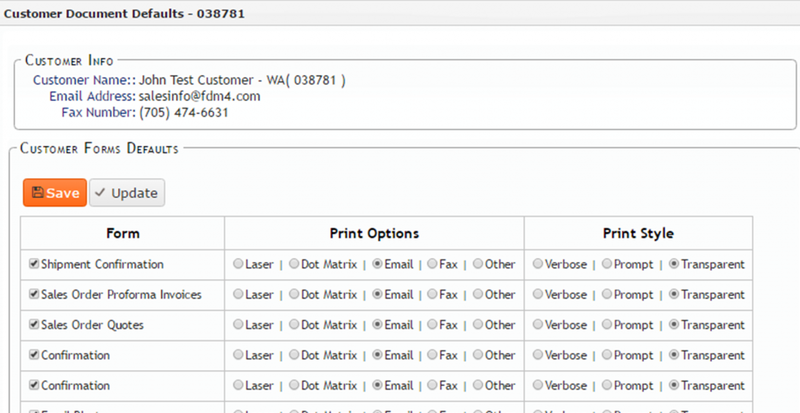 Your system automatically produces invoices upon order fulfillment and transmits data from customer-facing forms using the delivery method of choice to the client throughout the order lifecycle. Automated PCI compliant credit card processing using PayPal’s PayFlow Pro platform direct from the Order Entry and Invoicing procedures. Integrated E-Commerce application allows the customer to review and inquire on their order status with real-time information. 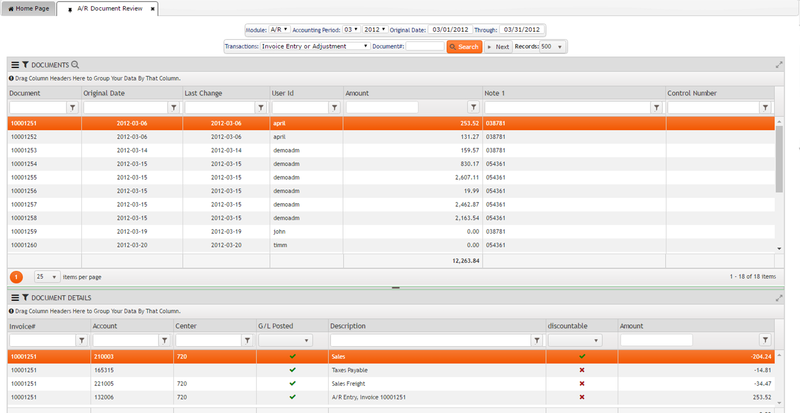 Improve the returns process with full integration between the order management and returns processes. Powerful freight calculation process which includes freight rates, days in transit, and available freight promotions. Integration to electronic order delivery using different available methods including EDI, EASI Standards, APIs, Web Services, and E-Commerce. Integrated EASI Standard communication protocols to allow for seamless communication with mills to automate drop ship order placement. Flexible, rules-based pricing setup allows multiple price lists with multiple levels as well as time-based Sale, clear-out, and discount pricing options. Comprehensive commissions calculations available for orders processed. 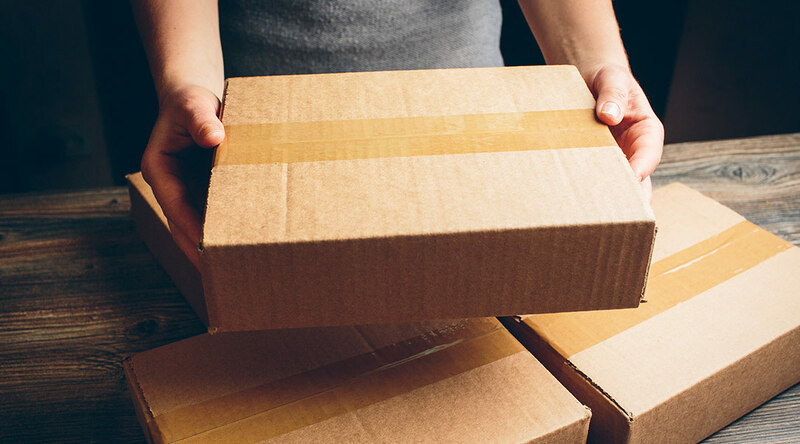 The FDM4 Claims Process is a comprehensive and powerful Returns Management procedure that will reduce the time spent processing returns, replacement orders and miscellaneous credits or charges that are related to previously Invoiced Orders. Detailed reports and integration to the Order Entry process will allow for tracking of Returns from entry through billing to improve Customer satisfaction. The Claims Modules is fully integrated to the Order Entry procedure allowing for easy Return Authorization generation using the Invoice matching procedure. The same procedure will allow for miscellaneous charges or credits to be generated from an order to manage issues related to invoice adjustments. Auto apply credits procedure is available for reducing the outstanding balance on replacement orders or as of yet unpaid balances on the original Invoice. PCI compliant credit card processing available for the returns procedure. UPS ARS or call tags available from within the returns generation procedure. Restocking fees can be setup and charged using a dollar value or a percentage of the goods being returned. A Reason Code entry required for each line of the transaction, allowing for returns or replacements with different reasons to be entered into a single transaction for a single Customer. An unlimited number of codes can be defined for use in the claims process. Returns can be viewed by the Customer using an online application with the integrated E-Commerce application. Returns can also be generated for goods that are not linked to an original sales order where required. Claims will update commission calculations for the sales representative automatically in the commissions management procedure. Separate General Ledger accounts can be setup to track sales returns. Seamless integration to UPS and FedEx for shipping reduces the amount of time spent on manual processes such as printing labels and sending manifest information thereby reducing the risk of shipping errors generally associated with manually exchanging data with separate services. 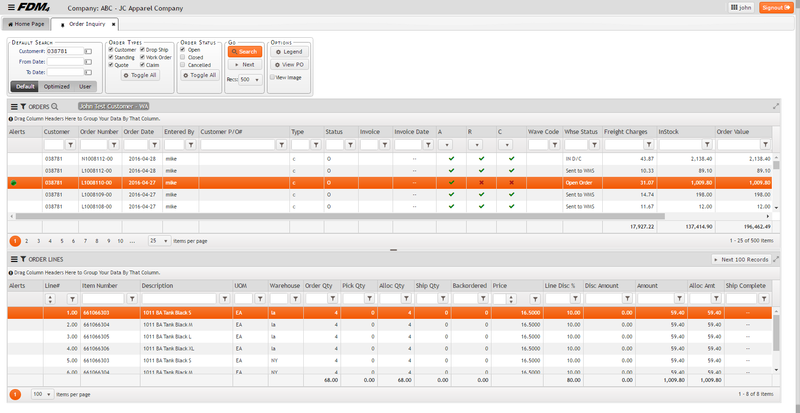 Rates stored in FDM4 allow for real-time, accurate calculation of shipping charges based on the product ordered. Flexible payment options including real-time Credit Card processing through the PayPal Gateway, Net/COD Terms, and Factoring are available. Reduction in billing time and errors with automated generation of Invoices and credit memos as a result of completing an order or a return. Centralized customer records shared across the business, including a comprehensive credit, through a fully integrated system provides a complete history retained for a Customer for the life of the account. 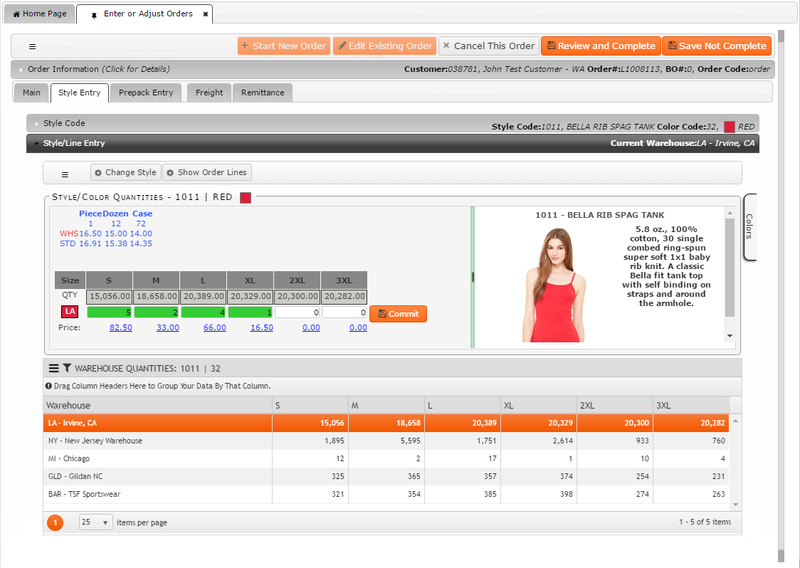 Allow customers to manage their own accounts though options available online with the integrated E-Commerce application. Automated posting to General Ledger accounts upon generation of an invoice or credit memo. Flexible aging methods allow for the setup of the aging method to suit your company’s needs based on either due date or transaction date of the Invoice. Drill down available from the invoice or credit memo to view the details for the related Invoice or credit memo. PCI compliant cash receipts by credit card functionality for payment of outstanding Invoices on account and batch-style cash receipt processing for recording payments received. Multi-currency capabilities available to allow for transactions occurring around the world. Automated finance charge calculations for overdue receivables. Automated calculation of discounts based on payment terms. A fully integrated ERP system like FDM4 will reduce the need for rekeying data to generate Invoices for goods delivered to your Customer and streamlines the process by automating the generation of Invoices and Credit Memos that are a direct result of an Order or a Return. Less time spent on Invoice generation will allow your Credit Department to be more efficient, reduce the possibility of Invoicing errors, and increase Customer Satisfaction. With the available E-Commerce application Customer have additional functionality available to them to manage their account including reviewing their Order Status, reviewing their account Statement, and even paying for outstanding Invoices using a Credit Card with the PCI Compliant PayPal integration. Electronic Invoice delivery using a variety of different methods based on the Customer’s requirements eliminates the need for printing and mailing Invoices on a daily basis. An Invoice or Credit Memo can be automatically routed to the Customer via integrated Fax, e-mail, EDI, or EASI Standards once created with no additional human intervention. Revenue recognition is automated with the proper setup of General Ledger accounts associated to the Customer and the Products ordered to allow the process to generate the required General Ledger postings associated to the Invoice and the Cost of Goods Sold.